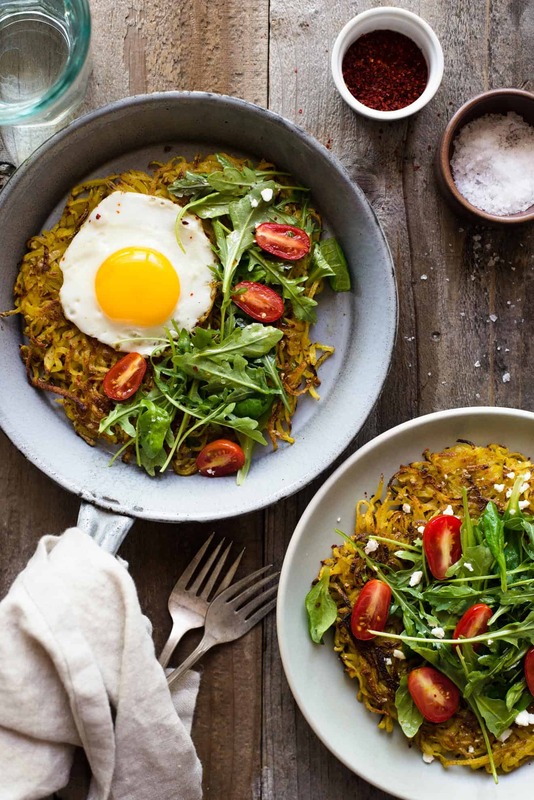 This curried rösti is a simple pan-fried potato pancake/fritter that is perfect for breakfast or dinner. It is based on the traditional Swiss dish with some extra spices mixed in. 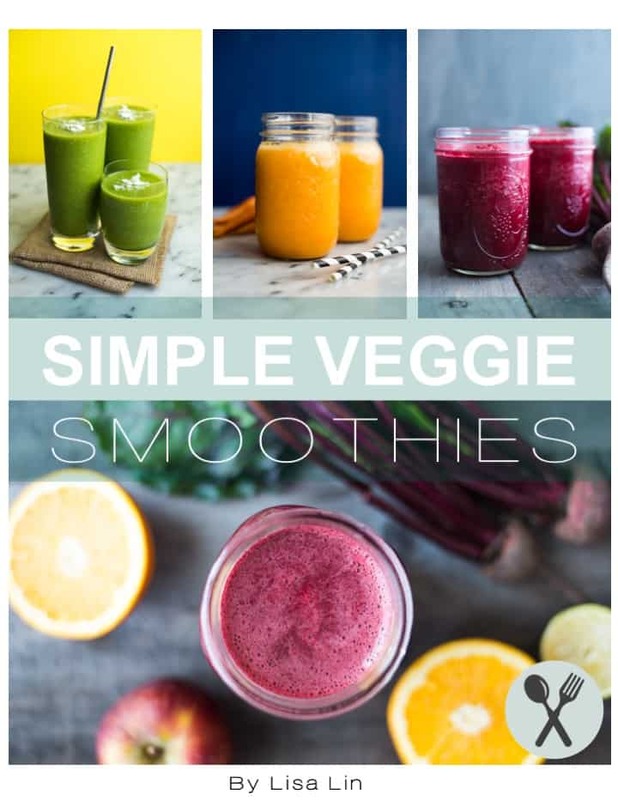 Made with just 4 main ingredients! Whenever fried potatoes are involved, count me in! I first came across a rösti recipe while flipping through a British cookbook. That recipe wasn’t a traditional Swiss one—it was a potato and parsnip rösti that was pan fried and then baked. 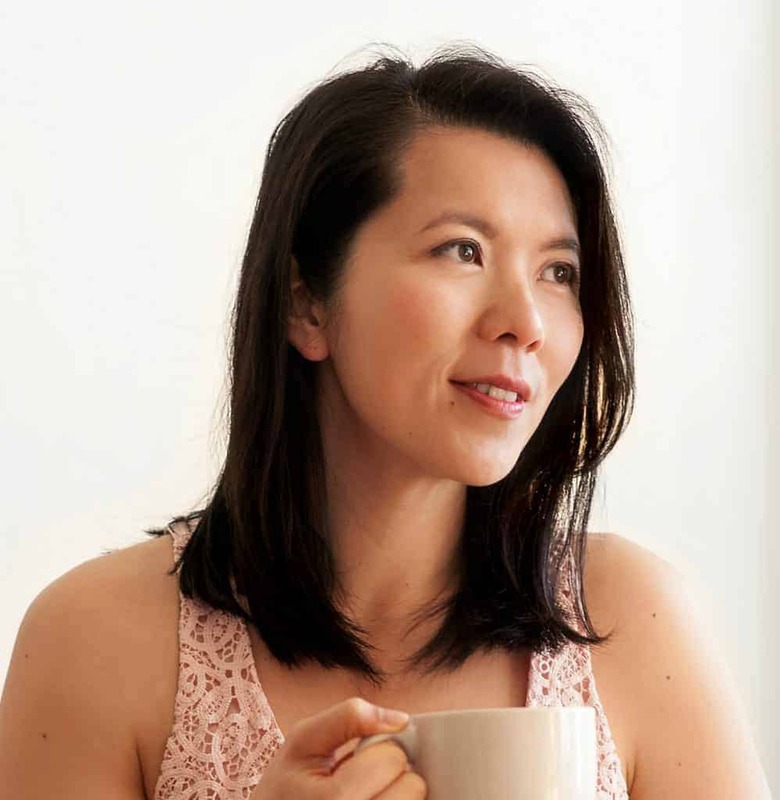 Intrigued by the combination of the root vegetables, I decided to give the recipe a try. Unfortunately, the rösti never turned out the way I wanted. Finishing a large rösti in the oven is actually not a bad idea, considering how difficult it is to flip it over. The problem with the baking though, is that it takes forever for the other side to crisp up. After giving that recipe many tries, I decided to just work on my own version. I have to admit, flipping the rösti is the hardest part. You need to loosen the rösti from the pan, cover the pan with a plate and flip the rösti onto the plate. Then, you transfer the rösti back into the pan to fry the other side. You can image how a large potato fritter can break apart during this process. After about 10 failed attempts, I decided to make smaller röstis (about 7 to 8 inches wide) as they’re much easier to handle. To make these röstis taste great on their own, I also blended in some curry spice and garlic powder. They’re so delicious and addictive! Grating potatoes in the food processor versus box grater: As you see in my videos, I prefer grating the potatoes with my food processor because it’s so much faster. I can grate all the potatoes in less than a minute with the food processor. Of course, you can grate the potatoes with a box grater, too. I recommend using the grating surface with the largest holes. Variations: I tried a version with 12 ounces of grated potatoes and 4 ounces of grated parsnips, which tasted great, too. The parsnips add a subtle flavor. I also tried a version with a 50/50 mix of potatoes and sweet potatoes, which I didn’t like as much. The sugars that come out of the sweet potatoes cause the rösti to brown way too quickly. Cooking on an induction burner: For my video, I cooked both röstis on the induction burner. Most of you will probably cook this on a gas or electric stove. For those of you who also want to experiment with induction cooking, my advice is BE CAREFUL. The induction burner heats up very quickly and I actually burned one side of my first rösti. (Shh, don’t tel anyone!) Start cooking at a medium-low heat and check the progress of the röst after 2 minutes or so. Grate potatoes using a food processor or a box grater. Transfer the potatoes to a bowl. Sprinkle salt over the potatoes and mix everything together with your hands or a spatula. Let the potatoes sit for about 10 minutes. This will help draw out moisture from the potatoes. Place half of the potatoes into a towel. Wrap up the potatoes and wring out all the excess liquid (there will be a lot). Transfer the potatoes to another bowl. Add the curry powder, garlic powder and black pepper to the potatoes and stir to incorporate. Heat a 10-inch cast-iron skillet or non-stick pan over medium heat. Swirl in 2 teaspoons of olive oil. Once the pan is hot, add half of the potatoes. Spread out the potatoes into a 7 to 8 inch cake and flatten everything with the back of a spatula. Cook for about 3 to 4 minutes, or until the potatoes are golden brown. (This may take a few more minutes on your oven.) Using a rubber or silicone spatula, loosen the bottom of the rösti. Turn off the heat. Cover the pan with a large plate (large enough to cover the pan completely). While holding on to the plate, flip the pan over so that the rösti lands on the plate. Turn the heat back on to medium and swirl in another 1/2 tablespoon of oil. Slide rösti back into the pan and fry the other side for about 3 to 4 minutes. 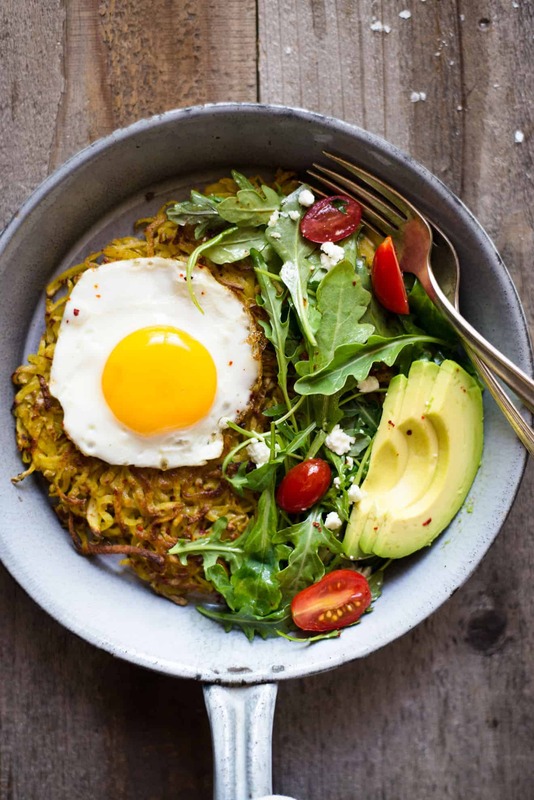 Transfer rösti to a serving plate. Repeat steps 5 to 7 for the remaining potatoes. Serve röstis with fried eggs or vegetables! Many recipes recommend that you cook each side for about 10 minutes, but my röstis always looked a bit burnt when I pan fried it for that long. I recommend cooking a side for 3 to 4 minutes first, then lifting it slightly with your spatula to see if the rösti has reached the desired level of golden brown color. 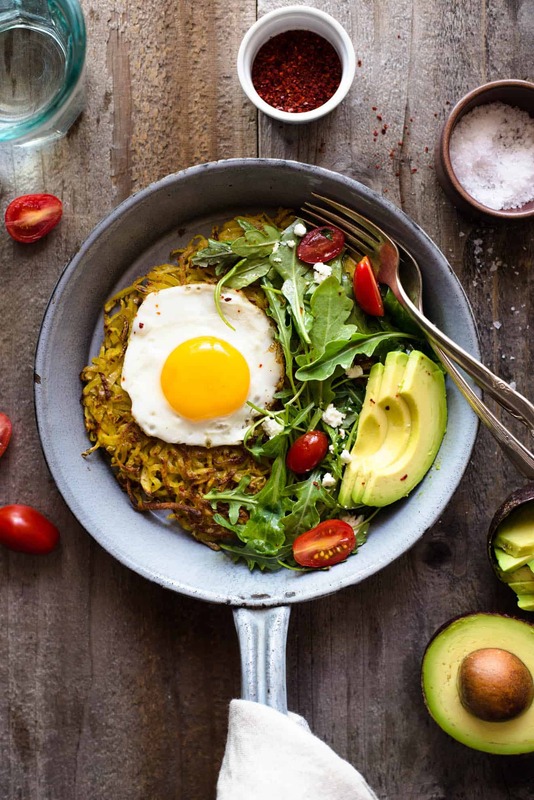 Pssst…(whispers discreetly…) rösti are Swiss not Swedish…:-) Have you seen Felicity Cloake’s Guardian article on making the perfect rösti? It might help with some of the technical problems. I was surprised that she opted for par-boiled potatoes. I’ve never made them like that and was under the impression that they were traditionally made with raw potatoes. She says that’s just Zurich though. Interesting discussion. Oh my gosh, Susan, thanks for your note! I actually knew that they were Swiss, too! Anyway, it’s been corrected. Yes, I have seen that article. I noticed that her röstis are smaller, too. She does pan fry each side for 10 minutes, which I found to be way too long for me. How many potatos or cups of the shredded potatos would 1 lb of potatos yeild? 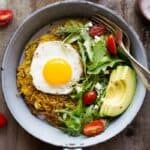 I love savory breakfasts and I could not really find that many recipes to do, so I always fall back on regulat toast with avocado or eggs or the occasional socca! I will try this recipe out really soon! Good question, Sophie! I used about 3 medium-sized yukon gold potatoes. I can’t quite remember how many cups of grated potatoes it was, but I think it was roughly 3 cups in total. Looks yummy and easy to make. Thanks for the video! Looks tasty and will definitely try. On the arugula salad did you put any dressing? I just tossed it lightly with olive oil, vinegar, and salt.